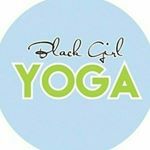 BlackGirlYoga is a global community comprised of women with diverse practices of yoga and healing. BGY is dedicated to increasing the visibility of this community both in and outside of the wellness world in order to provide inspiration necessary for inclusive self-love and self-care. Demographic data for @blackgirlyoga's audience is available for free to influence.co users.